To many plant lovers winter seems like lost time, but a glance at the twigs of trees and shrubs shows that this does not need not be the case. In contrast to other life forms, trees and shrubs do not die aboveground, but enclose their shoots for the next year in buds, presenting many characters which hardly change over time. Using these bud and twig characters, deciduous trees and shrubs can be classified reliably in winter, which is particularly important during planting time. 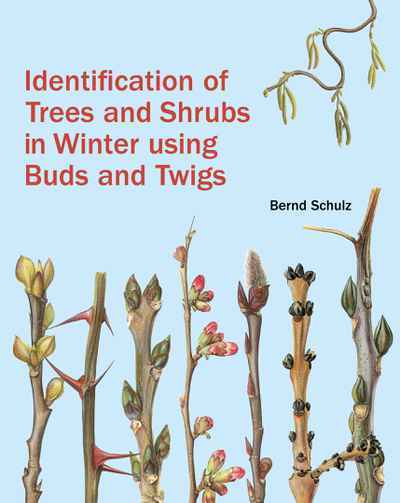 Author Bernd Schulz’s unrivalled masterpiece is a practical guide to identifying trees and shrubs in winter. Comprehensive and easy to use, it contains over 700 species identifiable via their winter buds and twigs. The illustrated identification keys are easy to use, and a summary set of keys are provided as an appendix. Detailed descriptions are accompanied with over 1,400 colour illustrations.